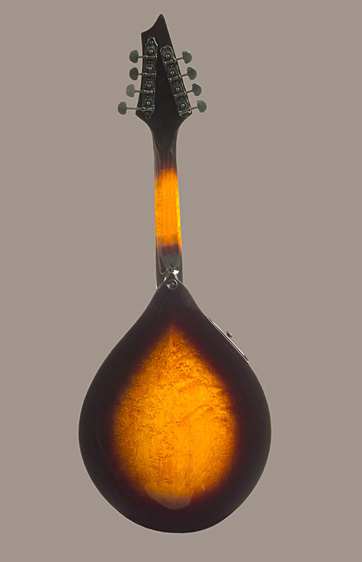 I know this instrument is not your normal looking bluegrass mandolin. It started out with a conversation between Emory Lester and I. 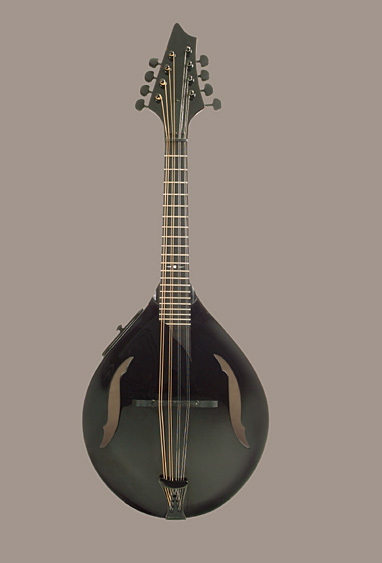 He wanted a new mandolin- stealthy, black on top (his favorite), sleek and different in design- in essence: very cool with great playability and sound. He sent me a drawing and asked if I could build it. Emory took delivery at IBMA in 2003. There are two models to choose from: one with a port in the side, the other without a port. The port gives the player more feedback from his own playing in an unamplified setting. The port can be closed if desired. Pricing, options, and so forth are listed below. Please note that they differ from options on other Ludewig models so as to keep the "stealth" design of the Emory Lester model. As usual, click on the thumbnail picture for a larger view and then hit "back" in your browser to return to this page. In order to keep the sleek look of this model, there are limited options. The top and headstock face are jet black. The nut is black Corian. The fingerboard has no inlay except at the 12th fret. There is no inlay in the headstock (you can find the label as to the maker and model inside the body). The side of the fingerboard has yellow MOP markers at frets 5, 7, 10, 12, and 15. Other standard features: Fingerboard radius is 9 1/2", fretwire is one size larger than normal. The fingerboard is just a bit wider than normal and the extension is scooped. All hardware is black chrome plated. Grover tuners. If you notice, the headstock is asymmetrical with F-style tuners on one side and A style tuners on the other. F holes are shaped differently than normal. Binding is imitation tortoise shell. Price: $3000 for the basic model. Please contact me for the price of a custom model. 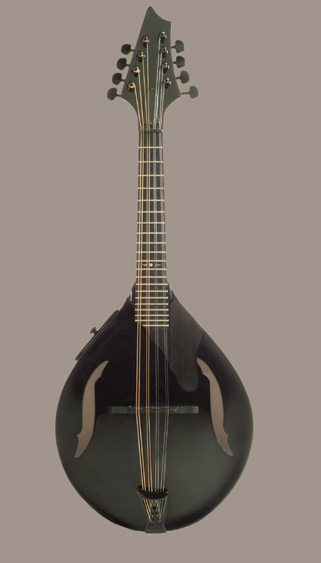 Emory has used his Ludewig made instruments on his Christmas Carols album, and also on his album "Acoustic Rising" with banjo clawhammer-magician Mark Johnson. Click on this line to go directly to Emory's website.